A Dual-Language Book (English and Italian). Edited and translated by Jacob Blakesley. Each story is both in English and in Italian. We hope that you will enjoy reading it. No further apparatus or reference is necessary for this wonderful self-contained text. 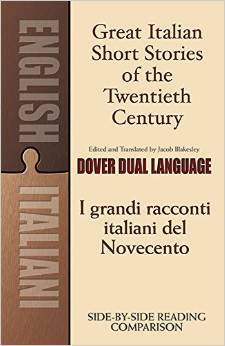 This can also provide an opportunity for students of Italian language and literature as well as readers wishing to brush up on their language skills. A Dover (2013) original publication.